Tom Perchard was born in 1976. He received his doctorate from the University of London, and he teaches at Goldsmiths College and the University of Westminster. He is a regular contributor to The Wire magazine. 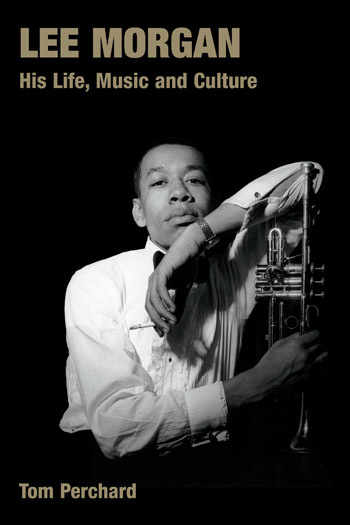 This is the first biography of the jazz trumpeter Lee Morgan (1938-72). He was a prodigy– recruited to Dizzy Gillespie’s big band while still a teenager, he joined Art Blakey’s Jazz Messengers not much after. By his early twenties Morgan had played on four continents and dozens of albums. The trumpeter would go on to cultivate a personal and highly influential style, and to make records – most notably The Sidewinder – which would sell numbers of copies almost unheard of in jazz. While what should have been Morgan’s most successful years were hampered by a heroin addiction, the ascendant black liberation movement of the late sixties gave the musician a new, political impulse, and he returned to the jazz scene to become a vociferous campaigner for black musicians’ rights and representation. But Morgan’s personal life remained troubled, and during a fight with his girlfriend at a New York club, he was shot and killed, aged thirty three. Although Lee Morgan lived and died in sensational style, the story told in this book doesn’t just stumble between stages, studios, bars and needles; such a narrative couldn’t do justice to the richness of the trumpeter’s music, nor to the culture from which it came. The events of Morgan’s life are presented here not just as items of biography, but also as points of departure for wider historical investigations that aim to situate the musician and his contemporaries in changing aesthetic, social and economic contexts. This book draws on many original interviews with Morgan’s colleagues and friends, as well as extensive archival research and critical engagement with the music itself. This chapter introduces the trumpeter Lee Morgan, his early life and education in Philadelphia, as well as the rise to fame which coincided with a new black social consolidation and political boldness. It also introduces his family and the role that the church played in the social life at the time. The chapter presents Lee Morgan’s early exposure to jazz and his early ‘religious’ approach to music. The chapter presents Lee Morgan’s early education playing the trumpet and his life as a young professional. The chapter emphasizes the cultural environment of 1950s Philadelphia, when an abundance of important jazz musicians came out, and which is considered to have nurtured and focused the talent of young players. The chapter presents Lee Morgan’s arrival in New York, free of the expectations and determinations of his home community. It also presents Dizzy Gillespie, known as a pre-eminent bebop innovator, who represented two distinct eras of jazz. The chapter shows Lee Morgan’s speedy development as a trumpeteer after fulfilling his first Blue Note contract. This chapter discusses Lee Morgan’s musical developments under the influence of the drummer and bandleader Art Blakey, and influenced by the context in which he worked. The chapter presents Lee Morgan’s life and musical developments and achievements in the bebop business and the ‘soul-jazz’ style, as well as his marriage with a Japanese-American model, Kiko Yamamoto. The chapter presents the blues, as the story of black people in America and the creation of an identity through the performance of blues. Moreover, all national identities are considered to be kept alive over time in part through some kind of performance, and the ‘national’ identity of midtwentieth-century black America was enshrouded by the symbolic and expressive tradition of the blues. This chapter discusses jazz in the 1960s and jazz criticism, which came mostly from white musicians. 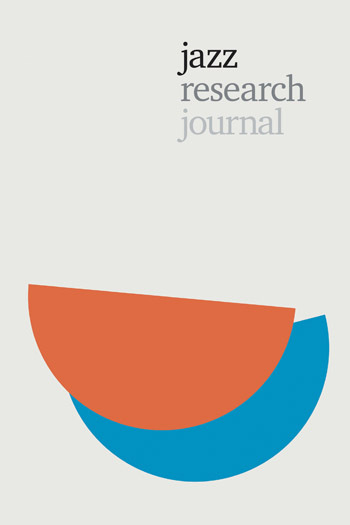 Moreover, it presents the 1960s Black Arts Movement, whose theorists argued that white critics had little understanding or empathetic feeling toward the cultural and aesthetic sphere to which jazz belonged. This chapter presents the context in the beginning of the 1960s, with the Cuban Missile Crisis and the civil rights movement among others. In this context, it presents Lee Morgan’s return to New York, and his life as a full-time professional musician. The chapter describes the quickening decline of jazz business in the 1970s. However, Lee Morgan’s success was exceptional and not indicative of the true state of the jazz business. The chapter discusses jazz’s general downturn in popularity, with ad hoc playing arrangements and fewer clubs offering live jazz. At the turn of the decade, musicians such as Lee Morgan began to involve themselves in co-operative and collective action. The chapter further presents the Beatles’ success and the effects it had on jazz. The chapter describes the period in the late 1960s, when Morgan was struggling with drugs and financial problems. It also describes his relationship with Helen Moore and the Lee Morgan Quintet, which began working in the eraly months of 1970. The chapter describes Lee Morgan making a new attempt to move away from drug addiction, and towards a new community of politically active black Americans. Through protest and organisation, Morgan hoped to demand and create improved working conditions for himself and his colleagues. The chapter presents the “Black Arts Movement” and the turbulence of the late 1960s in America. Lee Morgan describes Europe as the artists’ ideal, in this way not only criticising ‘white’ America’s treatment of black artists, but also the members of his own culture who failed to recognise and support their own. The chapter discusses the tradition of black American musicians with which Morgan identified,and which was recognised as something fragile. The chapter presents Lee Morgan’s death and the memorial service organized after his death, and further contemplates the music that the trumpeter left behind. Through a wealth of research and incisive anecdote from his band members and close associates, Morgan emerges as an intriguing, multi-layered figure. The whole trajectory [of Morgan’s life]… is handled with impressive confidence. It’s clichéd praise, but my first act on finishing the book was to dig out a slew of old Blue Notes. An outstanding achievement… [Perchard] shows himself to be a close listener and a tough-minded critic who can write vividly about the music. This is a remarkable book and an outstanding contribution to jazz literature… a very impressive achievement indeed. Excellent… [Perchard is] especially good on Morgan’s music, analytical but not so technical as to lose most readers. Perchard doesn’t focus on the sensational parts of Morgan’s life but skilfully dissects his music, and gives it a fitting social context. Perchard navigates between Morgan’s music, its political and social context, its implications for the development of jazz and the minutiae of its creation and points of reference with natural expertise… Dust off and play your copy of The Sidewinder, then enjoy this book. An extraordinary achievement. 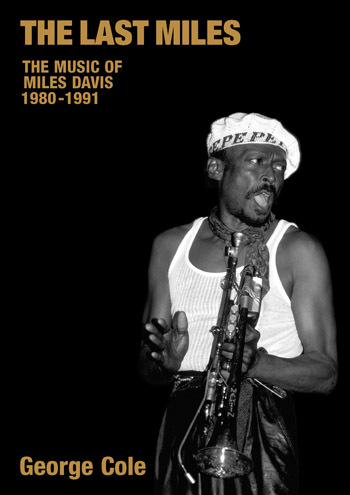 Subtitled ‘His Life, Music and Culture’, it is exactly that, not just life and music as most biographies are, but a substantial jazz history too and as such can be highly recommended. Perchard’s writing is clear, and the book is well researched (the author interviewed more than three dozen people for the book) and well documented. As the first biography of this important hard-bop trumpet player, the book is a significant addition to the jazz literature… Recommended. Lower-division undergraduates through faculty and professionals; general readers.